The location was fabulous, it was within walking distance of everything in Palm Cove. Owners were lovely people and couldn't do enough for you. Appt. Was excellent , spotless and a great location overlooking the ocean. Could not fault the place. Bed extra comfy, clean, lovely balcony view, friendly hosts. Well maintained apartments. Very clean, very friendly managers. La vue sur l'océan. Un grand appartement bien équipé avec un balcon donnant sur la plage. Place de parking ombragée. On peut réserver à la réception une sortie sur la grande barrière de corail. 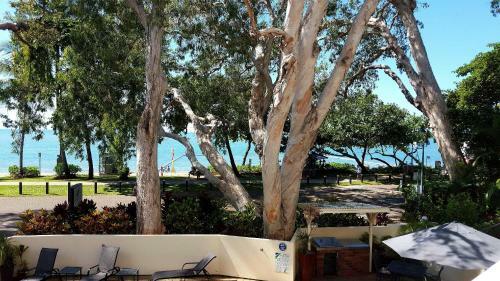 Lock in a great price for On Palm Cove Beachfront Apartments – rated 9.5 by recent guests! 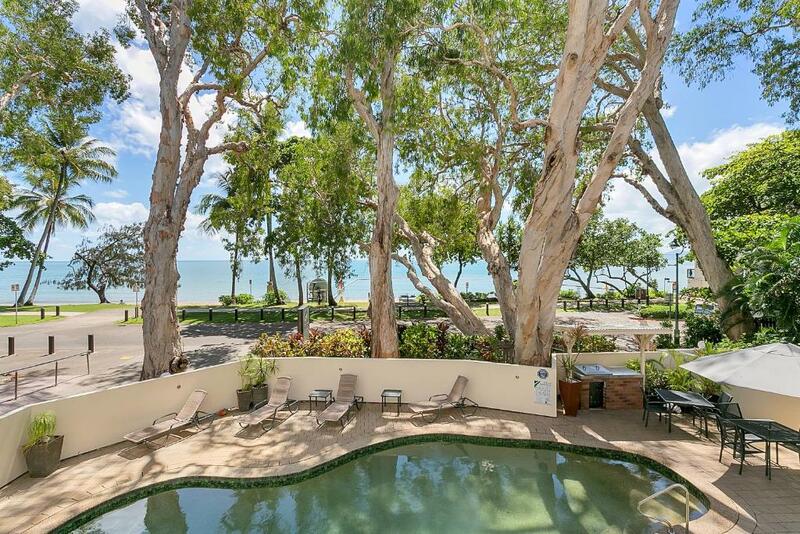 On Palm Cove Beachfront Apartments This rating is a reflection of how the property compares to the industry standard when it comes to price, facilities and services available. It's based on a self-evaluation by the property. Use this rating to help choose your stay! Located just a few steps from the sand and the sea, each of these beachfront apartments has a private balcony with stunning views over the pool, the beach and the Coral Sea. Each individually decorated apartment at On Palm Cove features open-plan living areas, a fully equipped kitchen and a modern bathroom. Free cable TV, air conditioning, ceiling fans and a private laundry are also provided. Facilities include an outdoor saltwater swimming pool with spa and a pool-side BBQ area. Free secure undercover parking is provided. The tour desk can arrange tours to the Great Barrier Reef. 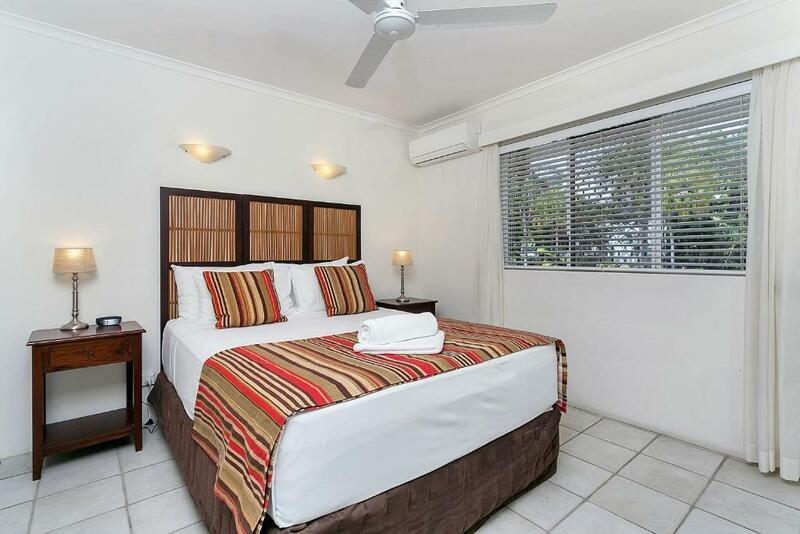 On Palm Cove Beachfront Apartments are located opposite the patrolled swimming enclosure at Palm Cove Beach and next door to a choice of award-winning restaurants. 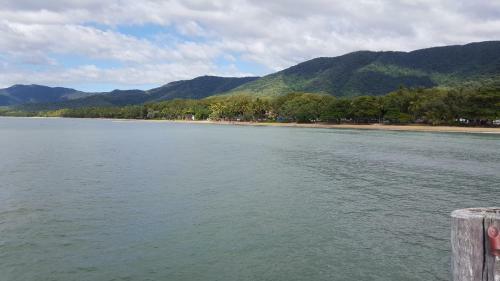 Cairns Airport is a 30-minute drive away. 뀐 Located in the top-rated area in Palm Cove, this property has an excellent location score of 9.6! 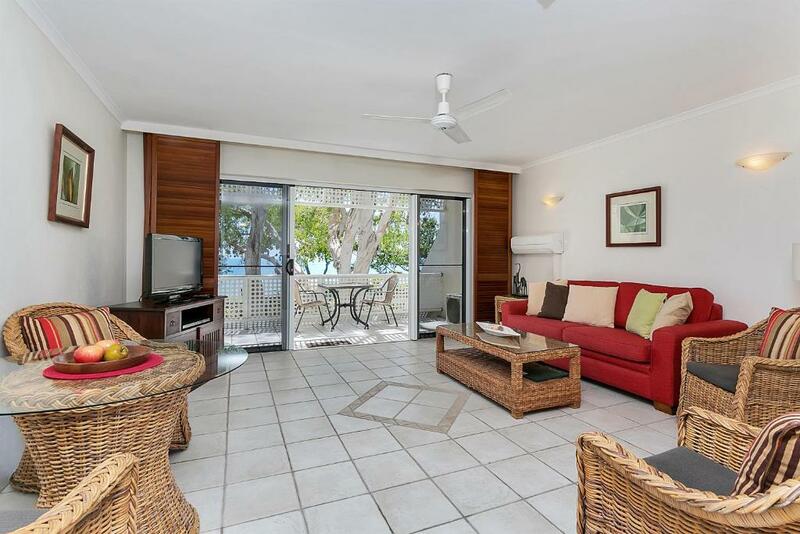 When would you like to stay at On Palm Cove Beachfront Apartments? 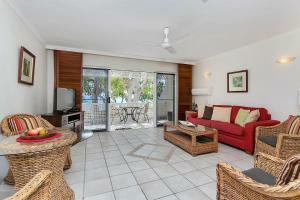 This spacious apartment has superb views of the beach and Coral Sea. 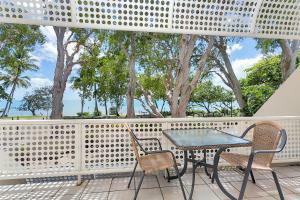 The apartment is directly opposite the prime area of the beautiful Palm Cove beach. 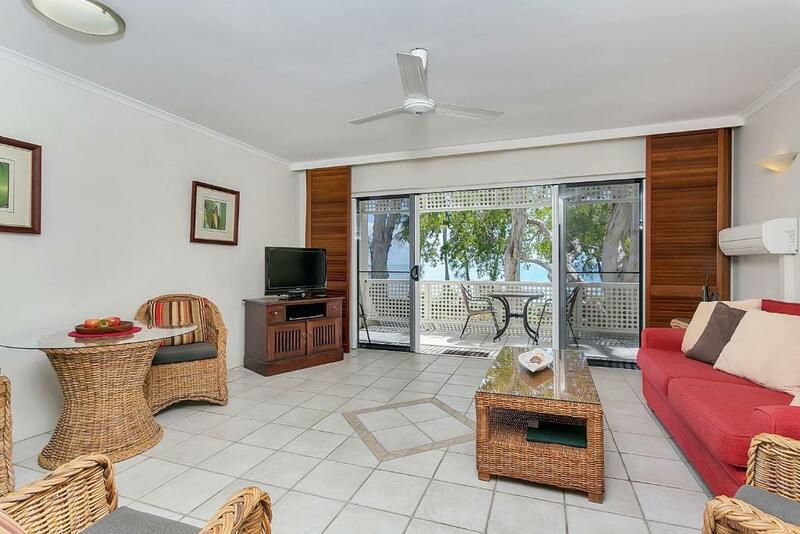 A private balcony enjoys panoramic views of beach, Coral Sea, Double Island and fringing reef. 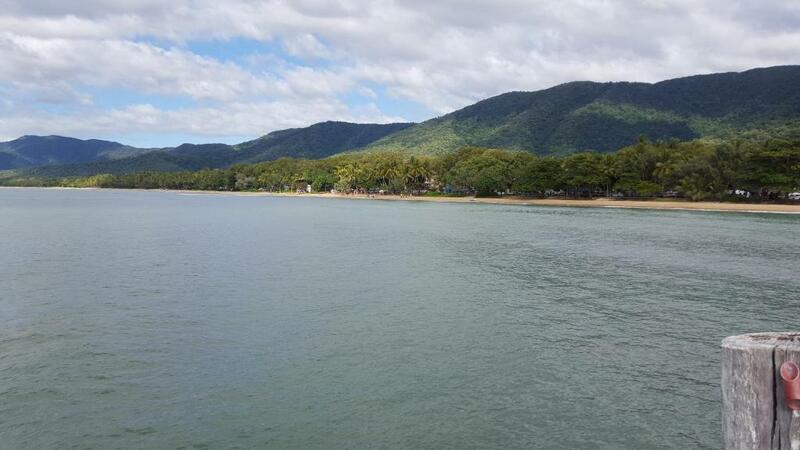 Beautiful Palm Cove Beach overlooks Double Island and has stunning mountain backdrop. There is a village atmosphere with a wide choice of dining options for formal or casual dining. Dine under the stars in 5 star luxury or sample the choice of cafe's and bistros. A shaded promenade winds through the palms along the beachfront. Along the esplanade boutiques gift stores are fun to browze and small grocery stores have supplies should you choose to dine in. There is a jetty which is great for casting a line or just taking in the view from the sea to the magnificent mountain backdrop. Enjoy long walks along the seashore or through shady rainforest tracks. 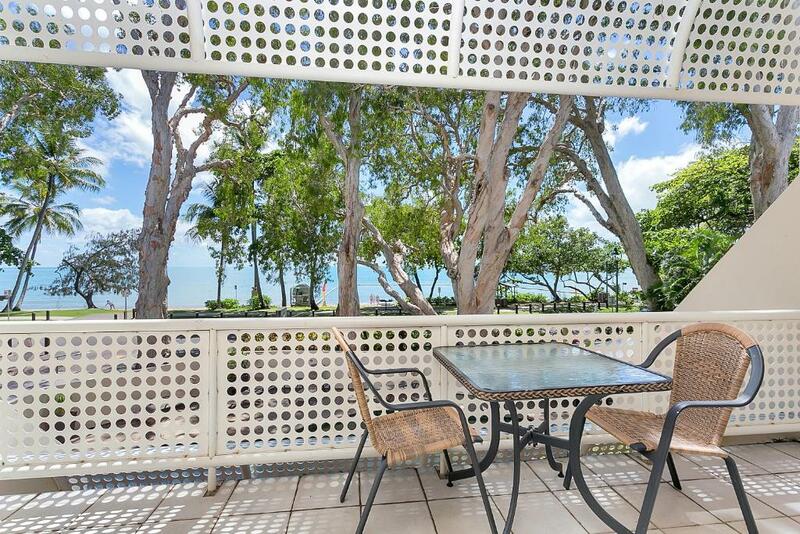 House Rules On Palm Cove Beachfront Apartments takes special requests – add in the next step! Debit card On Palm Cove Beachfront Apartments accepts these cards and reserves the right to temporarily hold an amount prior to arrival. On Palm Cove Beachfront Apartments accepts these cards and reserves the right to temporarily hold an amount prior to arrival. Please note that On Palm Cove Beachfront Apartments does not accept payments with American Express credit cards. Please note there is no capacity for additional beds or alternative bedding configurations. 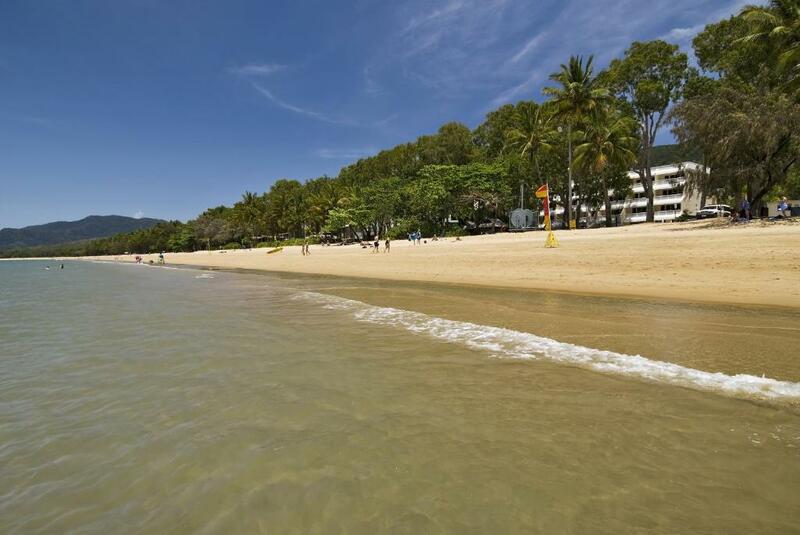 Please inform On Palm Cove Beachfront Apartments of your expected arrival time in advance. You can use the Special Requests box when booking, or contact the property directly using the contact details in your confirmation. Location to beach and restaurants. Not very used too a very soft bed!!!!! The beachfront and proximity of everything! There was nothing we didn't like except that we couldn't stay any longer than 5 days. Although the bed was comfortable, in a tropical environment we expected a King Size bed. Location, view and beach was really good. Not a lot of sun where the pool is which leaves the water a bit cold for me.